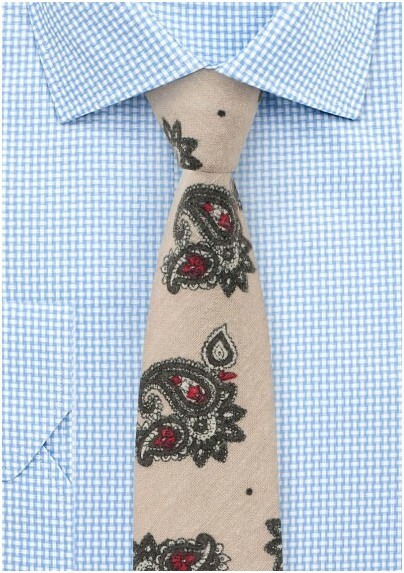 This retro inspired paisley tie in beige, gray, and red is a fantastic addition to any rustic-dressy ensemble. 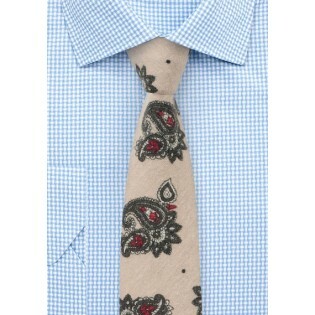 A great tie for rustic barn weddings when paired with vintage tweed vest or old school leather suspender. Handmade using cotton flannel fabric by neckwear brand BlackBird.